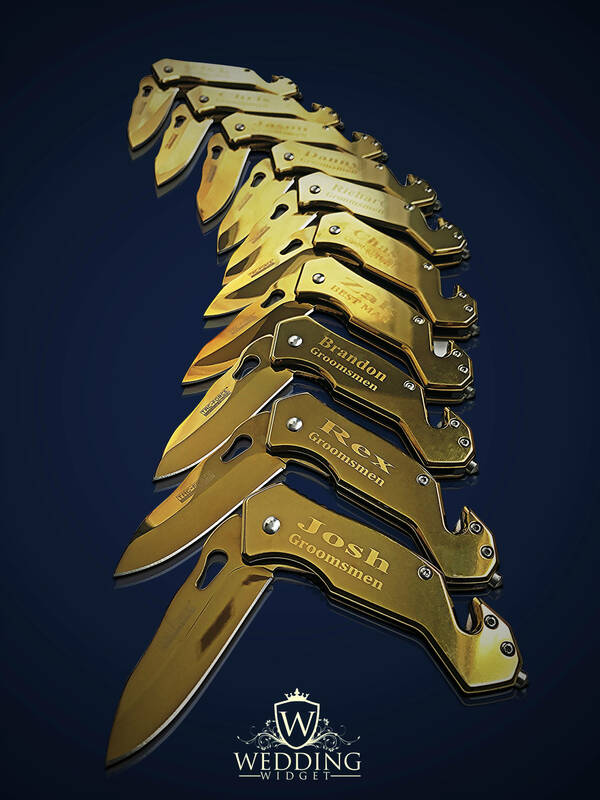 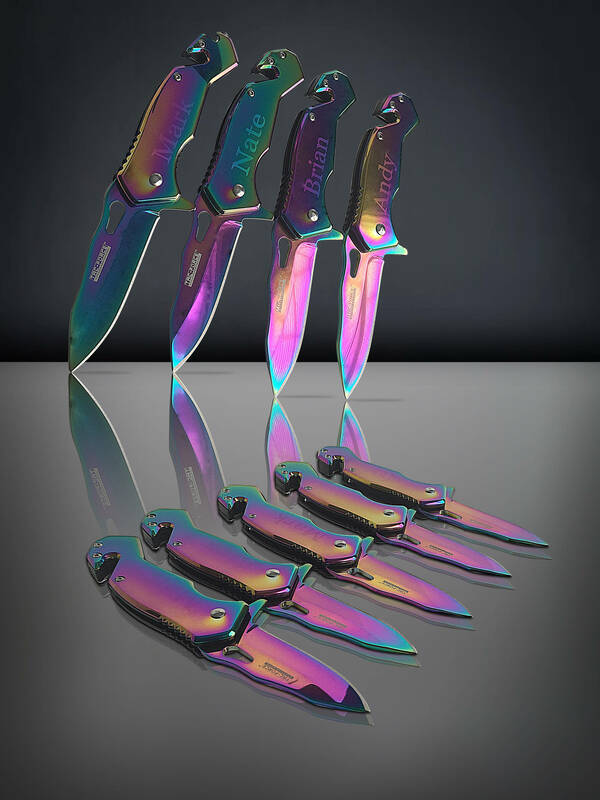 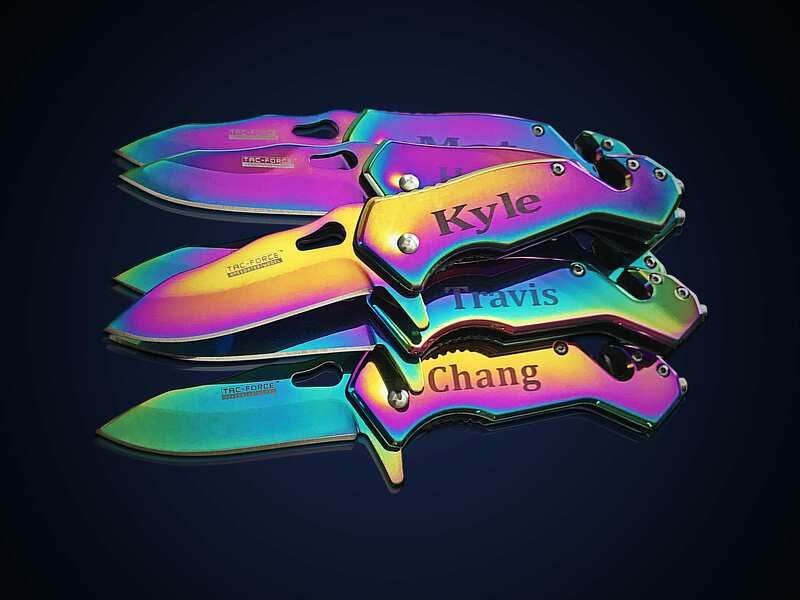 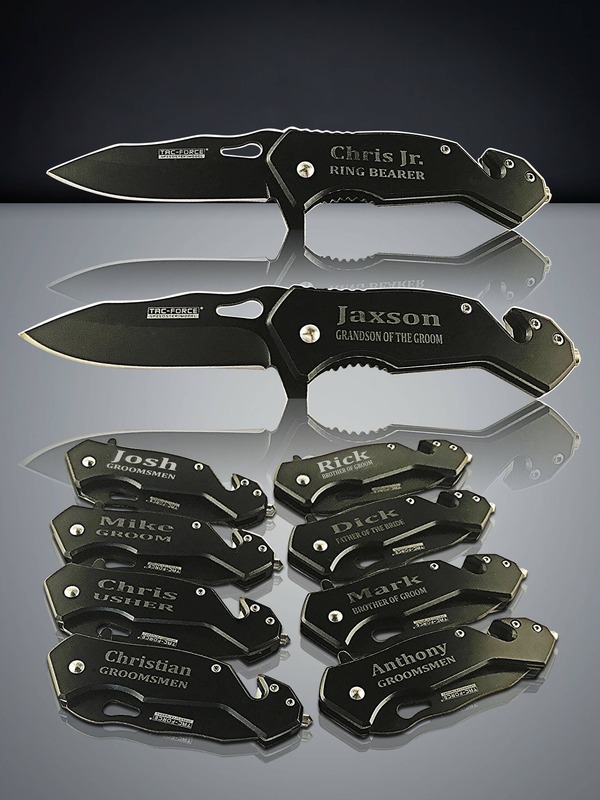 Engrave your Initials or name on these 13 Black colored Stainless pocket knifes. 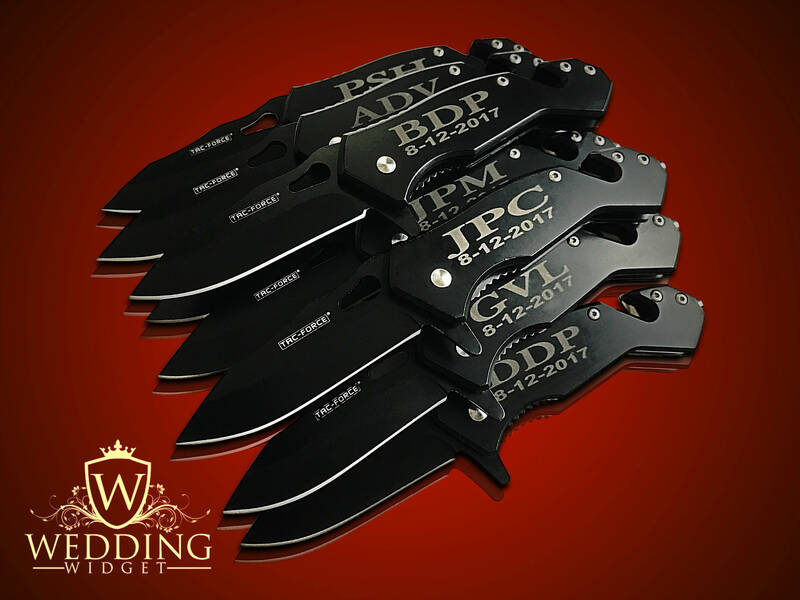 Perfect gift set for the Groomsmen, Usher, Officiant, Father of the Bride, Father of the Groom, the Ring Bearer, Brother in law and can accommodate anyone else that's left out. 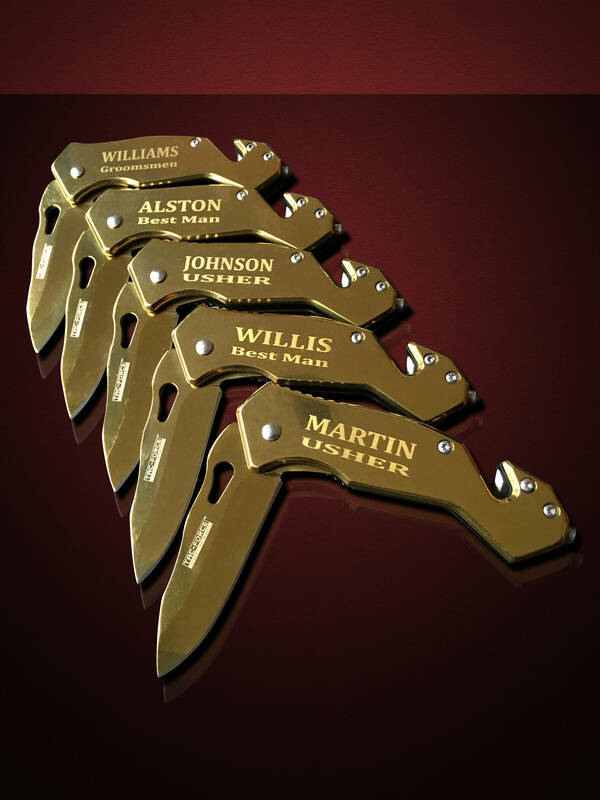 Hard to find engraved wedding gift sets for the entire wedding party!! 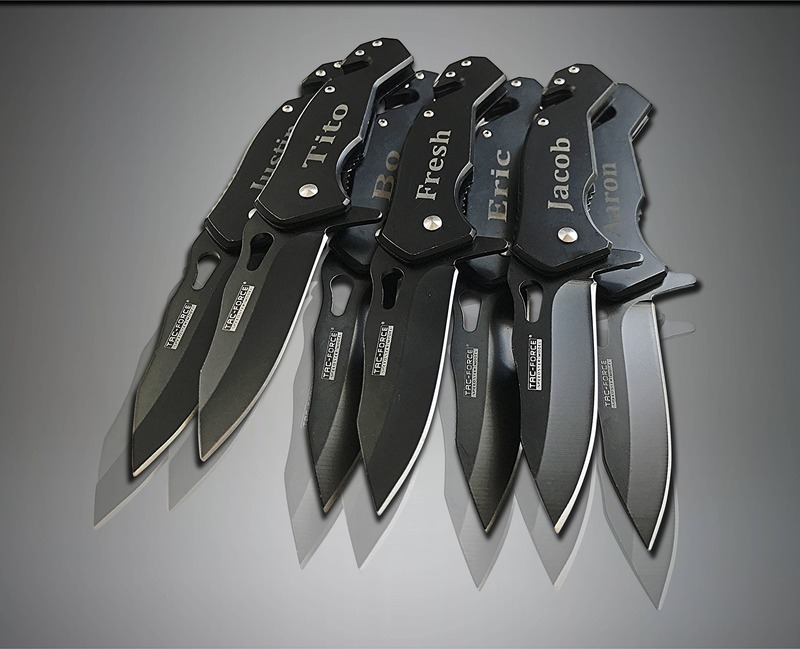 This listing is for 13 Black colored Tac-Force Speedster model, laser engraved pocket knifes. 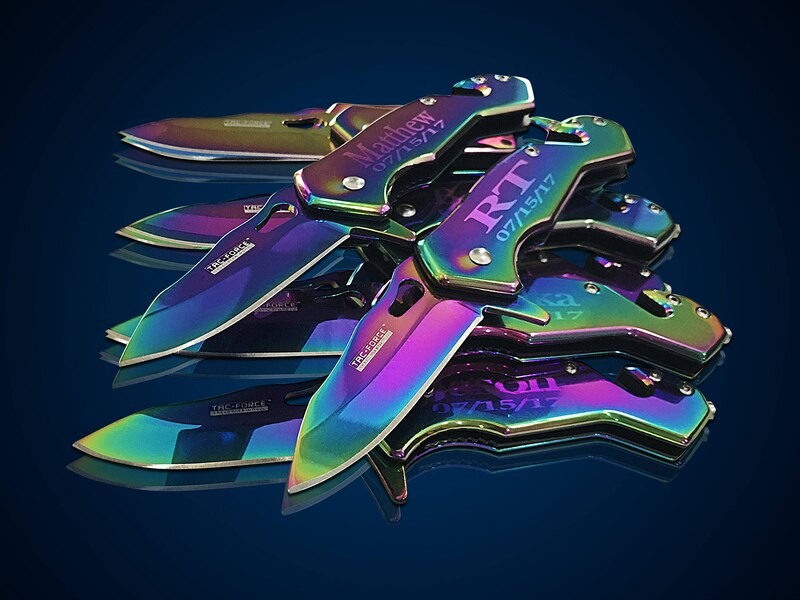 Comes in original Tac-Force box. 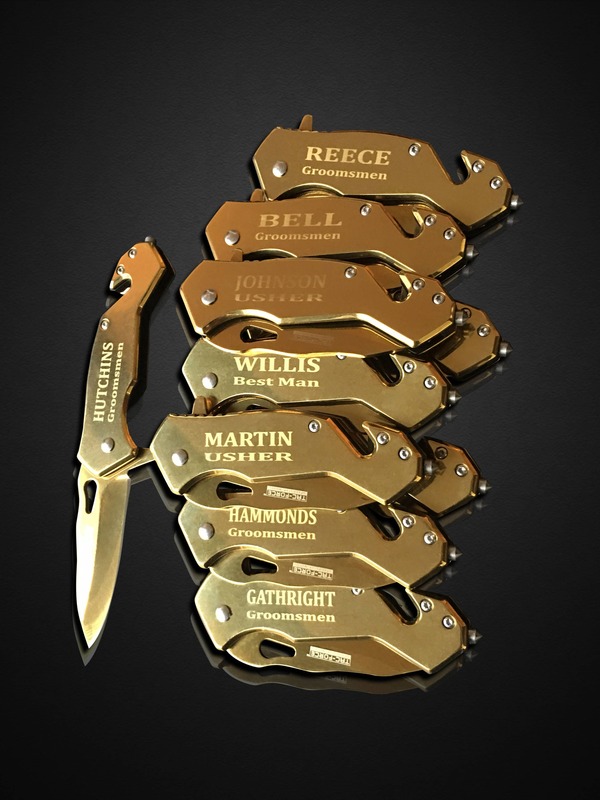 The engraving is included with purchase. 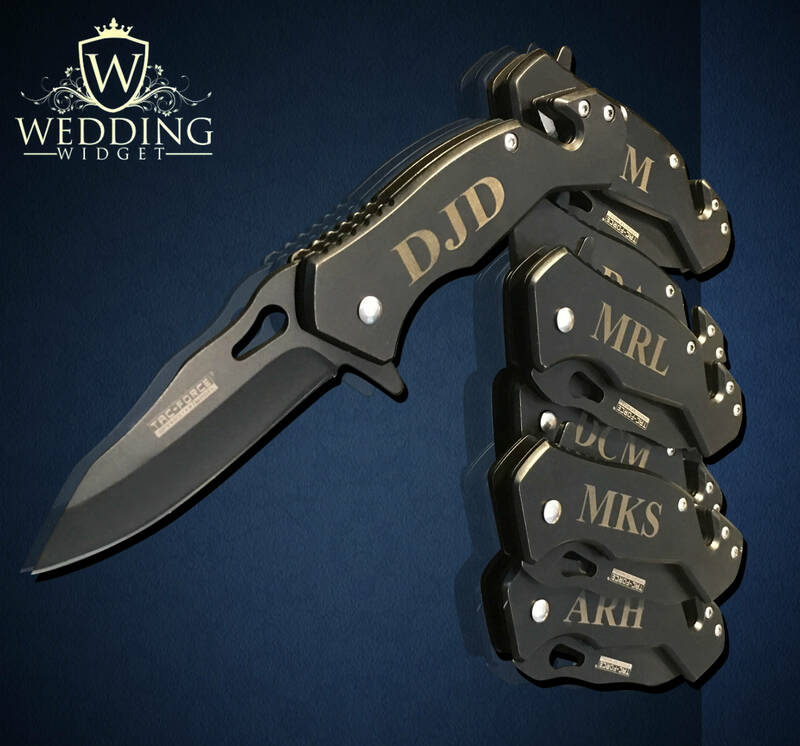 3) How to write it out: Top line " Tyler Jenson" Bottom line " Groomsmen 6-6-18"